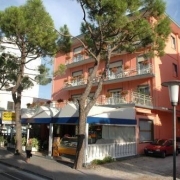 Hotel Nettuno is a 3 star hotel in Jesolo Lido. Enjoy the beachfront position, the peaceful location and the family-run atmosphere of Hotel Nettuno, set in the centre of Lido di Jesolo. 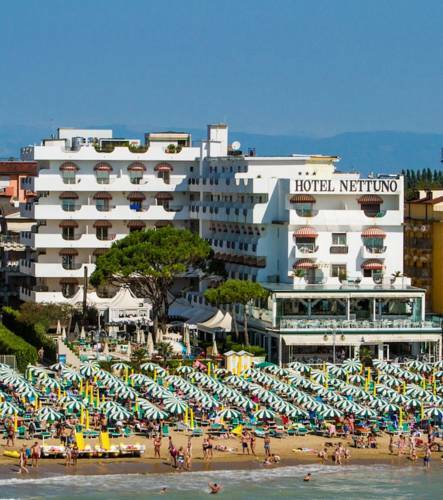 Near the main square of Piazza Mazzini, Hotel Nettuno offers a wide, private beach area. 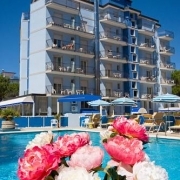 The best Hotel Nettuno's room rate in Jesolo Lido starts from 50,00 € ! isoladiburano.it has found many accommodation in deal in Jesolo Lido. Search the room typology that you prefer, comparing the rates. An easy way to book online at the hotel Hotel Nettuno. 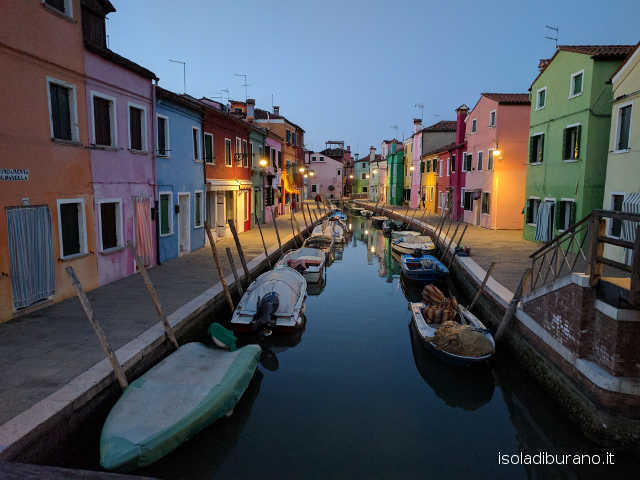 Since that Jesolo is situated not far from the enchanting islands of the lagoon, staying at the Hotel Nettuno a Jesolo Lido why no to visit the colorful Burano island, known for its lace, the medieval village of Torcello and Murano, famous for the art of the glass? On the page "How To Get To Burano" you'll find useful information about the itineraries to follow after you went to Treporti, Punta Sabbioni or San Marco square, visiting Venice and starting from Via A.Bafile XXIII Acc. Al Mare in Jesolo. Venice Vaporetto, taxi Hotel Nettuno, transfers and city sightseeing. During your stay in Jesolo Lido and Hotel Nettuno you can enjoy any kind of excursions and tours, such as the classic gondola tour, or an adventurous boat trip, maybe while the women in your group are making a guided shopping. The Jesolo coast offers hidden and charming places, too. If you are bike lovers, we recommend the girolaguna from Jesolo Lido, starting from Piazza Brescia. It is an exciting bike and boat tour along the coast of the Venetian Lagoon. Whether your passion is nature, rather than shopping or food and wine, you can plan your Venice stay looking at the Venice tour guide. 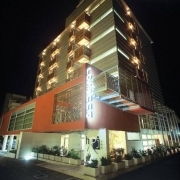 Hotel Jet, online reservation: you can book your room at the hotel "Hotel Jet" by clicking on its name and visiting its own page. Situato in una zona centrale di Jesolo, l'Hotel Moderno dista pochi passi dalla spiaggia sabbiosa e vanta un ambiente accogliente ed elegante. 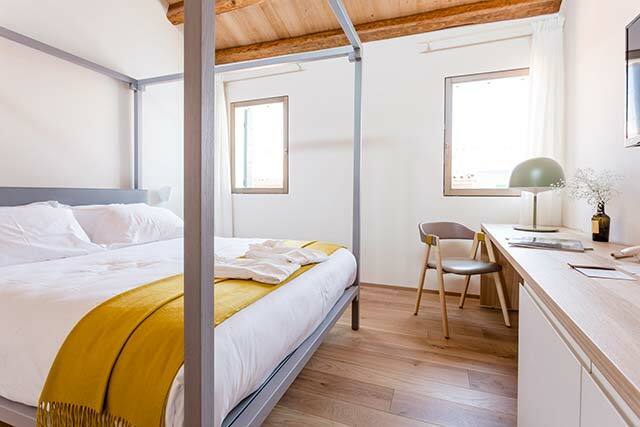 Hotel Moderno, online reservation: you can book your room at the hotel "Hotel Moderno" by clicking on its name and visiting its own page. Hotel Rosanna, online reservation: you can book your room at the hotel "Hotel Rosanna" by clicking on its name and visiting its own page. Enjoy a little taste of the timeless atmosphere that you breathe in these places through a convenient and economic boat trip to the islands of the Venice Lagoon. Departing from Venice, can be complicated for a tourist reaching Murano, Burano and Torcello by public transport, so we thought about comfortable tours of the islands which depart from the Santa Lucia train station in Venice, from Piazza San Marco and, in summer, also from Punta Sabbioni, the end of the Cavallino-Treporti coastline. 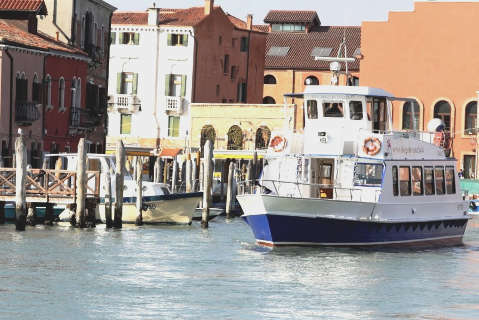 In our catalog there are various boat tours options: starting from the classic excursion to Burano, Murano and Torcello, up to the excursion to Murano and Burano with a fish-based lunch in a typical restaurant in Burano. A novelty are also the tour of Burano, Murano and Venice starting from Punta Sabbioni and the daily excursion to Venice and its islands starting from Jesolo Lido. In short, if you want to visit Murano and Burano, as well as Torcello and Venice, without sacrificing comfort, seating, explanation on board .... book online the boat trip that's right for you. Choose the visit to the islands that you prefer, by pressing the button below to have access to our online catalog. If you are a "DIY tourist", who prefer to move freely without the comfort of our tours, you can get to Burano with the public vaporetto (Line 12). You can skip the line at the ticket offices buying the water bus tickets online. In our section about the gondola tours in Venice, you can book the gondola ride you like directly online, starting from 31,00 €. If you are looking for a romantic evening in Venice and unforgettable, we recommend you the Venice Redentore in private gondola, the Historical Regatta in private gondola, or the gondola serenade. Plan your weekend in Venice: take a ride in our section dedicated to museums, events, tours, attractions and hotels in Venice and lagoon islands. Compose online your holiday package in Venice, adding to cart individual services and booking them all at once! All these services are offered by a Venetian tour operators. 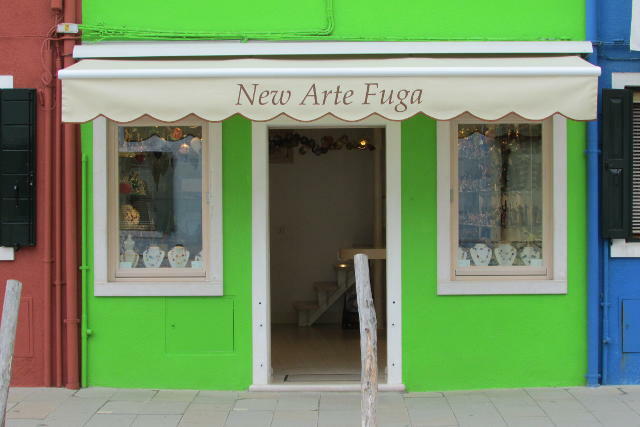 The New Arte Fuga shop in Burano, which is also a small glass factory, offers exclusively original Murano glass objects of its own manufacture. Inside this shop it's possible to enjoy for free the "glass lume processing", typical of the area around Murano. Download the coupon for "New Arte Fuga" by clicking on the button below: showing it in the shop you will be entitled to a discount or a freebie. 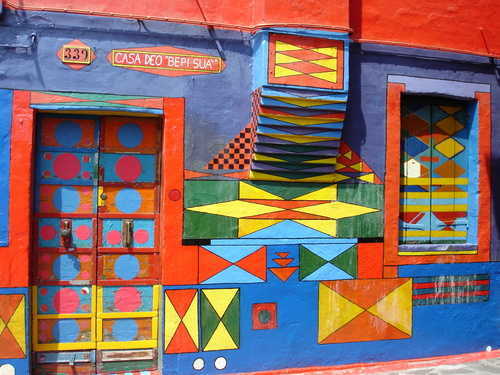 Do you want to sleep in one of the colorful houses of Burano? Book your room and discover the most beautiful island in the Venice lagoon. Book your room in Burano, in the heart of the Venice Lagoon. Stay directly in the quiet Piazza Baldassare Galuppi of Burano. Would you like to stay in a typical colorful house of Burano, once inhabited by fishermen and lace-makers? 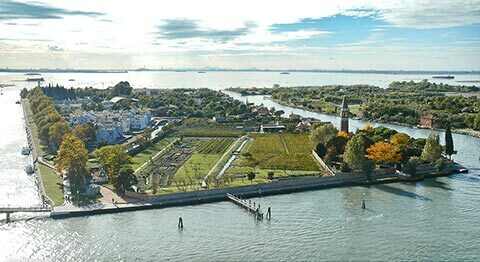 A stone's throw from the island of Burano, crossing the long bridge, you reach the Venissa estate: an agricultural paradise open to the public, formed by vegetable gardens, vineyards and two restaurants. On our Facebook page about Burano you will find all the news and event information about the Venice Lagoon. Also you can contribute to its growth, maybe publishing your photos or describing your trip, tour or excursion to Burano and the Venice islands. Isoladiburano.it is the official website of Burano Italy as well as the Burano tour guide, the colorful island near Venice.